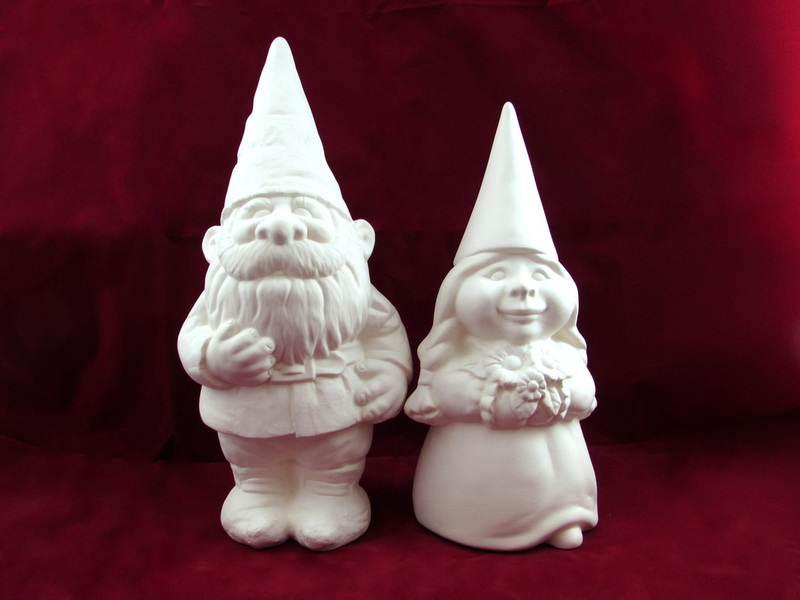 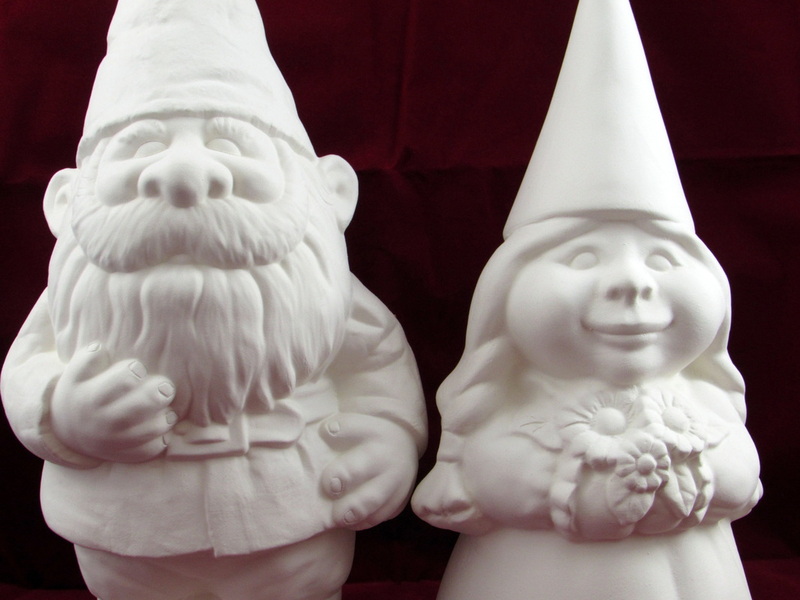 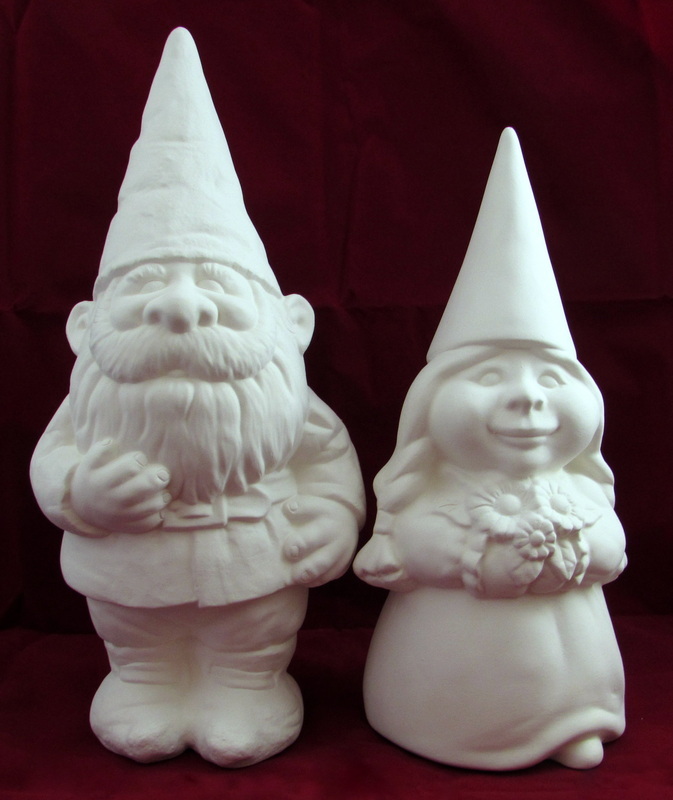 Bride and Groom gnome set for wedding decoration. Folky and adorable a great wedding decor for lovers of gnomes, travel, unique decor and gardening! 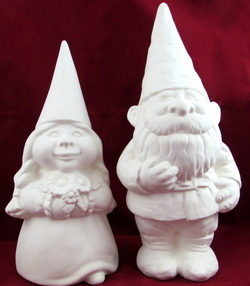 Hand made and ready to paint with acrylics or glaze (please note when using glazes the piece needs to be fired again in a kiln, with acrylics you do not need to fire in a kiln after receiving these gnomes). 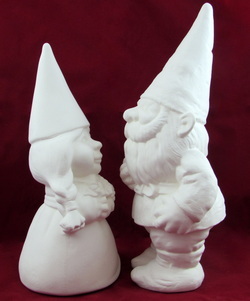 Great as a personal gift or as a painting project. We would also be happy to paint these for you, contact us if you would like them painted or customized.